My biography | Elaine Kirsch, Esq. Elaine Kirsch has been an attorney for over 30 years and for the last twenty, has limited her practice to divorce mediation and collaborative law. She has offices in Westchester County and New York City. Ms. Kirsch is an Advanced Practitioner Member of the Association for Conflict Resolution and the New York State Council on Divorce Mediation, and is a founding member, former board member and former Vice President of the New York chapter of AFCC (a national coalition of judges, lawyers and mental health professionals who are working to rationalize the process of divorce for families and children). She is the former creator and Director of MediateArt (a program of Volunteer Lawyers of the Arts), former adjunct faculty for Mediation at the Family Institute of Westchester, and a former member of the Board of Directors of the Family and Divorce Mediation Council of Greater New York (“FDMCGNY”). She is currently a member of the Ethics Committee of the FDMCGNY. In the growing fields of Collaborative Law and Collaborative Practice, Ms. Kirsch has been a member of the New York Association of Collaborative Professionals and the International Association of Collaborative Professionals (IACP) since 2002. She was a founding member of the Educational Committee on Interdisciplinary Collaborative Practice, having planned extended (3-day) professional trainings in 2005, 2006, 2008 and 2009. Ms. Kirsch has also given intensive 30 hour mediation trainings in New York City. 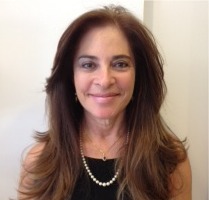 She has spoken widely in the fields of mediation and collaborative law, in both New York City and Westchester County. Ms. Kirsch was formerly an associate with Debevoise and Plimpton in New York, and is a graduate of McGill University, University of Toronto Law School, and Harvard Law School. She is a dual citizen of the United States and Canada. Ms. Kirsch is married to a tax lawyer and has three children. She lives in White Plains, NY.